Ahead of a self-described "likely" challenge to Sen. Patrick Leahy (D-Vt.), Pomfret Republican Scott Milne criticized the senior senator Friday for "mismanaging" the federal EB-5 investor visa program. 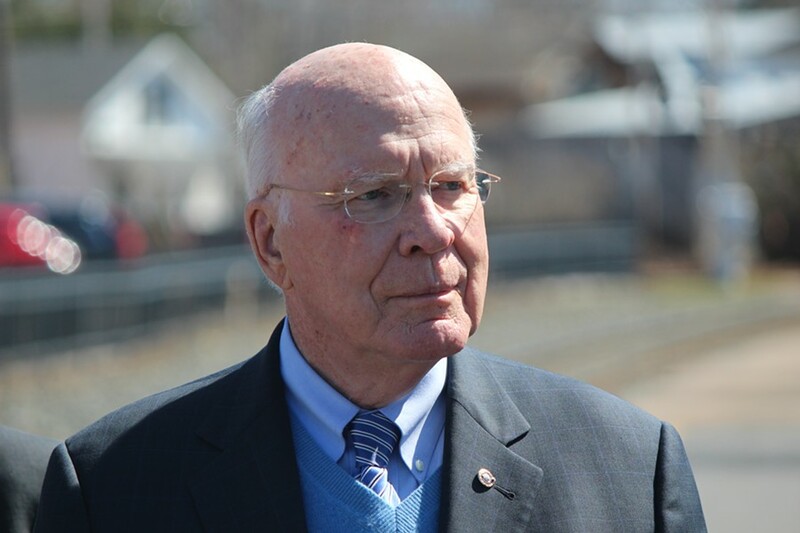 "Peter Shumlin and Patrick Leahy have both displayed a lack of competence and a lack of leadership in the way the EB-5 program has been structured and managed," Milne said, lumping Leahy in with the Democratic governor he nearly defeated in 2014. "On the federal level, I think it just wasn't structured with auditability and transparency built into it." The once-popular EB-5 program, which provides permanent residency to foreign nationals who invest at least $500,000 in qualified development projects, has come under fire recently in Vermont. Last month, federal and state authorities accused Northeast Kingdom developers Ariel Quiros and Bill Stenger of orchestrating a "Ponzi-like" scheme that allegedly defrauded investors of more than $200 million raised through the program. Milne also accused Leahy of "travel[ing] the world to help recruit investors into this alleged Ponzi scheme." The senator's office has said that he promoted Vermont's EB-5 regional center during unrelated trips to China and Vietnam in 2014 and Ireland in 2008 but that he did not advocate specific projects. Leahy's hardly the only one who's taken part in EB-5 promotional activities abroad. In October 2009, Milne traveled to China and South Korea with then-governor Jim Douglas, Stenger and other Vermont business leaders to meet with potential EB-5 investors. At the time, Milne was considering raising money through the program for his proposed Quechee Highlands development project, which has been stalled for years by land-use regulators. Milne, who was accompanied on the trip by business partner David Boies III, returned sounding enthusiastic about EB-5, though he and Boies ultimately opted against taking part in the program. Both men paid their own way on the trip, according to Milne. "To me, it is the perfect storm of government policy capturing the best of entrepreneurial spirit," he told the Valley News a week after returning from Asia. "I was pleased beyond my expectations." Milne's tune has since changed. On Friday, he said that federal officials who established EB-5 had been "naive" and "show[ed] a lack of, you know, business 101" because they failed to "audit money coming in and out" of approved projects. Asked to explain his evolving position, Milne claimed that Vermont's regulation of EB-5 projects had been stronger back in 2009 when he traveled to China and Korea. 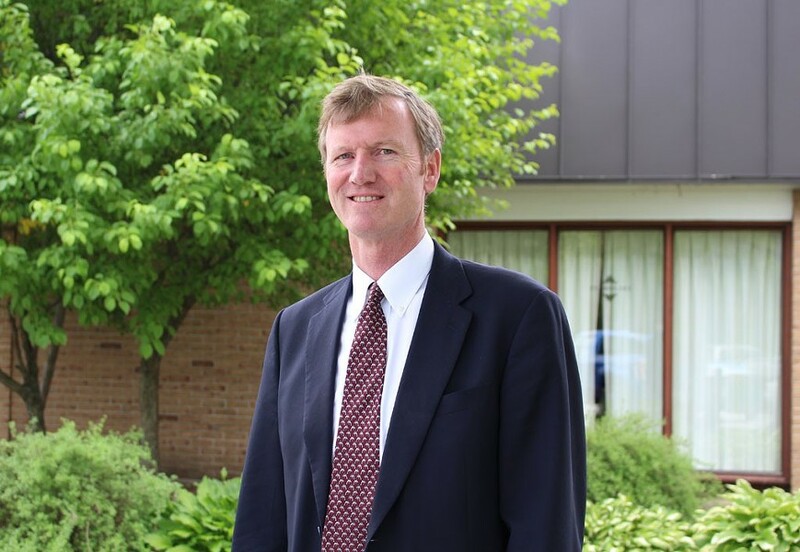 "I saw a very noticeable transition in lack of transparency and the way it was managed under the Shumlin administration than it was previously," he said. "There was more transparency and there wasn't the lack of oversight in the Douglas administration." In fact, the state did very little to regulate approved EB-5 projects during the Douglas administration and in the early years of the Shumlin administration. According to the U.S. Securities and Exchange Commission, Quiros' and Stenger's fraudulent activities began in 2008, when Douglas was still governor. Only in December 2014 — nearly four years into Shumlin's tenure — did state officials formally separate promotion and regulation responsibilities and task the Department of Financial Regulation with enhanced oversight. Milne claims responsibility for inspiring those changes. "I think Shumlin took some steps after the 2014 campaign and that led in part to uncovering some of these problems," he said. "I think I was the only one running for office in 2014 who was criticizing Shumlin's management of it." Milne's account does not square with the official record. Though DFR did not assume oversight authority until December 2014, Shumlin directed the department to make the move that summer — before Milne raised the issue on the campaign trail. In his remarks Friday, Milne appeared to blame Leahy and Shumlin for the alleged fraud in the Northeast Kingdom more than he blamed Quiros and Stenger. "I'm not personal friends with [Stenger], but I'm professionally acquainted with him, and I have a lot of respect for what he's done up there. I think he's done a lot of good things. My heart breaks for him," Milne said. "If Stenger and Quiros are guilty of what they're accused of, proper oversight would have prevented that from happening." Milne admitted Friday that his EB-5 broadside was motivated by his political aspirations. "My goal is to criticize Leahy for his role in it," he said. "I'm trying to get used to saying 'Patrick Leahy' and 'Peter Shumlin' in the same sentence a lot, because that will be part of our campaign. [Leahy's] strategy is going to be to say 'Scott Milne' and 'Donald Trump' in the same sentence a lot." Milne, who recently sold a majority stake in his family's travel business, said he had not "finalized that we're definitely moving forward" with a Senate campaign. But, he added, "We're very likely to be in the race." He said that former Vermont Republican Party chair Jim Barnett had been advising his campaign-in-waiting. A former vice president of political affairs at the U.S. Chamber of Commerce's Institute for Legal Reform, Barnett now serves as chief operating officer for Definers Public Affairs, a Virginia-based political consulting firm. Leahy was first elected in 1974. He is seeking his eighth six-year term. In Friday's interview, Milne lobbed several accusations against Leahy that are not supported by the public record. First, he suggested that U.S. Attorney Eric Miller and Vermont Attorney General Bill Sorrell were investigating the senator, before conceding that he "misspoke." Then Milne questioned whether lobbyists regularly shuttled Leahy between Washington, D.C., and Vermont in private jets. He later said he had no evidence to support that assertion. On Friday morning, Milne issued a press release calling on Leahy to "come clean" on his involvement with the EB-5 program and requesting that the senator release all "emails, meeting notes, call logs and letters" related to the Northeast Kingdom projects and subsequent investigations. He also asked for any records showing that Leahy traveled alongside Stenger, Quiros, Shumlin, Sorrell, Miller or various federal officials. Leahy's spokesman, David Carle, responded to the missive by calling it "unfortunate that someone has chosen to politicize such a sad situation for these communities." He said that Leahy had never been treated to foreign travel by EB-5 developers, and he declined to provide any of the documents Milne sought, citing respect for "the privacy of constituents who reach out to [Leahy's] office." "The efforts that [Leahy] and others made in good faith to help bring scarce investment dollars to struggling communities in Vermont succeeded with other Vermont projects, but he completely shares the feeling of betrayal that Vermonters in the Northeast Kingdom are enduring," Carle said. Corrected May 9 at 1:17 p.m.: An earlier version of this story misidentified Barnett’s former title at the U.S. Chamber of Commerce.